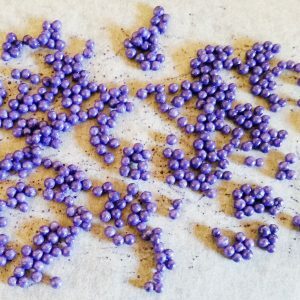 Ever had a cake that you wanted a very specific colour for cachous/sugar pearls and couldn’t find it? I’ve just landed in that very situation (and I really wouldn’t have thought purple was a tricky one to get, but there you go). So in that situation – what do you do? I looked online for some ideas.. airbrush them, shake them in luster dust, paint them.. so many options really. But being short on time (as most people are these days) I wanted something quick n easy. I got a small container, dumped in regular white cachous, put in a quarter teaspoon or so of purple luster dust and gave it a shake. Opened the lid and was disappointed at what I was looking at.. very dull purple. I was hoping for something a tad more vibrant. Firstly, I have now got integration between the date selector widget on my enquiry page and my Google calendar. 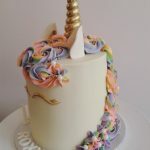 If you are not able to select a particular date on the enquiry form due to it being unavailable, this is not an error – it is because I have already blocked it as busy in my Google orders calendar and cannot take on another cake for that date. Hopefully this will aid in people knowing even prior to submitting an enquiry whether I am available or not (alternatively, you can confirm my availability on the availability page). Secondly, I have now introduced a flavours menu. 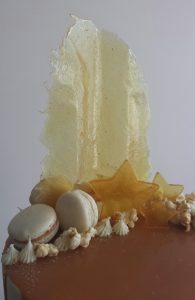 Take a look if you have a minute and let me know what you think 🙂 Remember, these are merely suggestions – this is a custom cake and it is definitely not limited to what is seen on the menu. I’ve just received a lot of feedback that there is a lot of options and I suspect it all gets a bit overwhelming. I have currently got 14 flavour profiles on there, I hope it’s not too many. 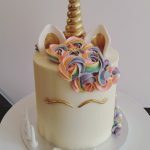 Last minute cake orders – There will now be a 2 week minimum required notice for a cake (note: this does not include lactation cookies or cupcakes). 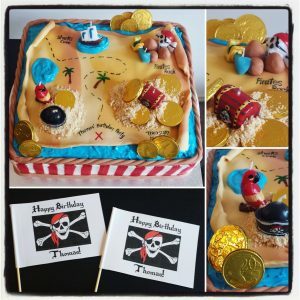 This allows enough time for cake deposit payment as well as me getting all the required ingredients and supplies in order to fulfil the orders in a more organised fashion. As much as I would love to offer last minute cakes, I admit I am finding it a challenge juggling my daytime job and motherhood as well as trying to fit cakes in at the last minute (admittedly, I haven’t been able to accommodate a ‘last-minute’ cake in quite some time as I’m usually booked, but thought I would explicitly state this from here on to avoid disappointment when I get calls – I always feel so bad not being able to help 🙁 ). 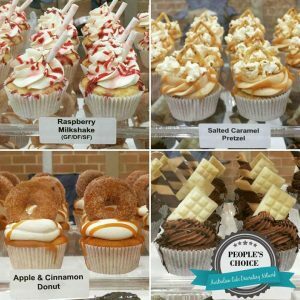 Restricting booking places – Did you know that at some points during this year I was taking on up to 5 orders a week? 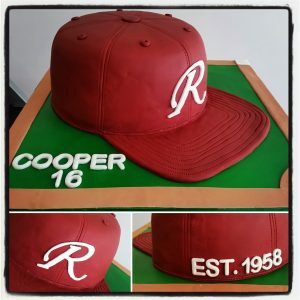 I love doing cakes and I love being able to share that with everyone. Unfortunately though, it also leaves me fairly exhausted by the time it gets to a Sunday afternoon and I have that huge pile of dishes to get through, and it results in my family missing out on quality mum time. So it is with a heavy heart that I will need to really pull back in 2018 and limit cake orders to 1 or 2 maximum a week. First in, first served basis. The ordering process – Following on from an order confirmation, I email an order invoice that contains information regarding deposit and pickup/delivery details. A non-refundable deposit/booking fee payment will need to be paid 2 weeks prior to order. Failure to pay the deposit/booking fee will result in order cancellation. Collection time – I will be allowing a strict half-hour window for pick ups. If you are running late, please advise via phone call or SMS as soon as possible to inform me and it may be possible for me to extend the time (I understand sometimes things happen and running late is unavoidable). However, due to family, work and other order delivery commitments, I am unfortunately no longer going to be able to offer flexibility on pickups. If anyone has any questions or concerns, please don’t hesitate to contact me for clarification on any of these points. It is unfortunate that I will need to reduce the amount of cakes that I can take on, however I feel it’s now important to return more of me to my family and friends time. As you may or may not know, I am a computer programmer by day. I have been pondering about how I could improve on my services to make things easier for you to navigate your way around this website. 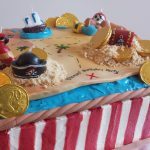 I have now introduced two new features for this website to help you on your cake ordering journey. The first, is the interactive Cake Customizer. 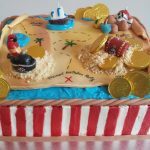 Here you will be taken through question prompts in order to refine what exact cake, filling and finish you want for your cake. 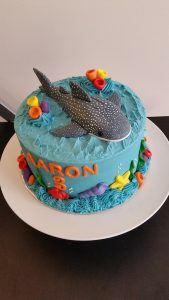 You can then provide this information to me so I can create your cake exactly how you want it 😀 If you have any feedback on how it could be improved, please don’t hesitate to let me know. This is all about improving your cake ordering experience. I will eventually expand on it to include serves/sizes and indicative prices as well. Secondly, I have created a Delivery fee estimator so you can see what it would cost for delivery of your cake to you. I have streamlined all the different factors into this one tool, so it should be fairly accurate at this stage. Unfortunately this still does not guarantee that I will be able to deliver, so please discuss with me to confirm delivery availability. 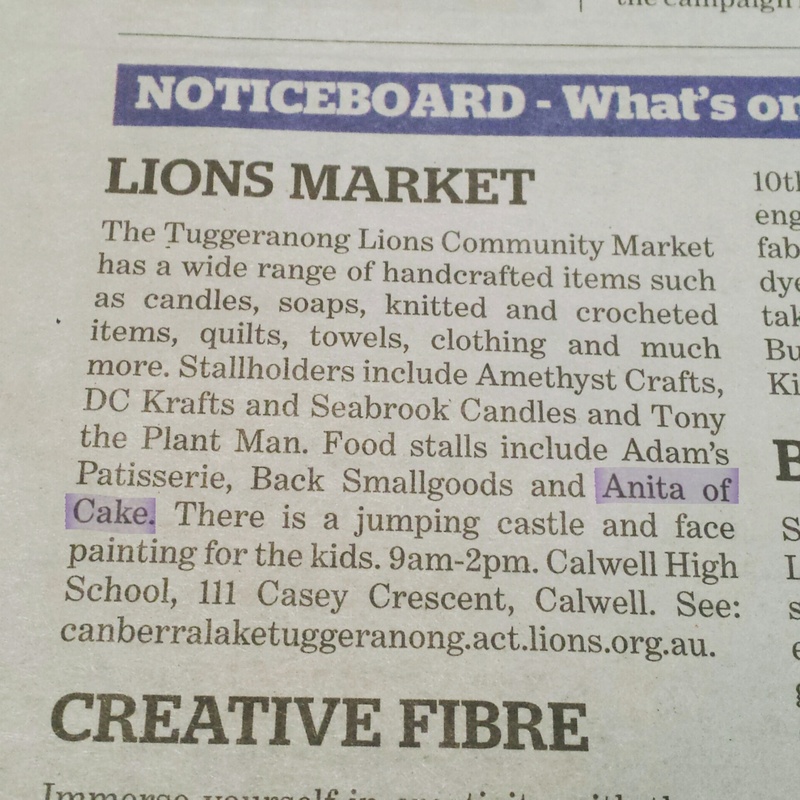 Unfortunately I have had to pull out of the monthly Lions Tuggeranong Community Markets. There were a number of factors that influenced this decision, the most important one being family time. Between my day job and custom cake orders, I sometimes find it difficult to spend quality time with my family. I appreciate all the support I did receive while I was attending, and hopefully I can revisit the markets another time. I apologise for the lengthy delay in getting a new post out! But life has been very busy of late and here I am, finally able to find the time to get a new blog post, simply because I am on holidays! 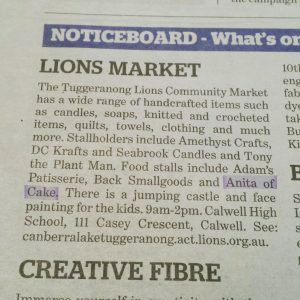 Between family commitments, work commitments, custom cake/cupcake orders (which isn’t only making the cakes, but ensuring I get all the ingredients, supplies, cooking, cleaning, organising, quotes, etc), and now doing monthly markets, there just isn’t enough time to do blog posts for each order. I now intend to do blog posts for anything new that I think is worth sharing with you all – such as recipes, techniques or news on what’s happening with the business. So, this post’s topic, which I am sure you gathered from the title, is about me now going to the markets. 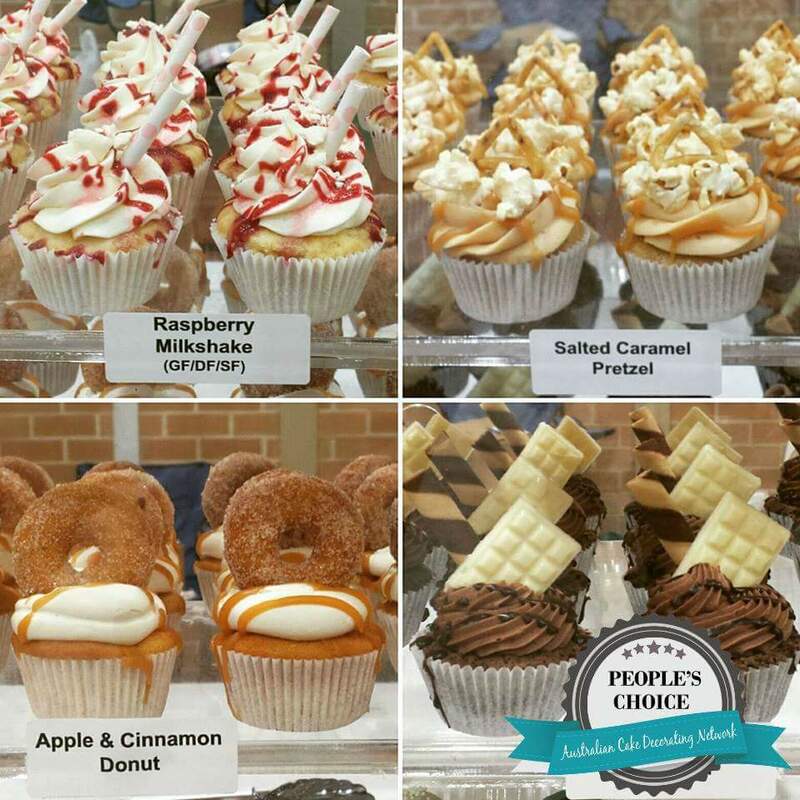 That’s right, now you don’t need to make custom orders for cupcakes with minimum order of 12 – you can simply head down to the markets each month to buy one (or a box of 4 if you want to take some home). I was provided pictures of the cap that was to be replicated into cake, based on the cap played by the Rebels Baseball Club that the birthday boy is part of. Looking through the articles, it appears that this young talent will be making his way to the USA as part of the MLB World Select Team which is really amazing – I sincerely wish him all the best with it, he should be very proud of himself to make it this far already as it is a huge accomplishment. Make adjustments to the image using an image editor – turning it black and white, turning up the contrast and inverting it so that the R was black on white background. Placing it onto the cake and getting everything in the right place was so challenging too for me. I am a bit of a perfectionist and getting everything to look just right took me a while! My first go at doing a rectangle cake! I think I did alright. 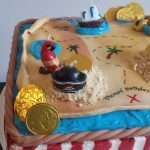 Pirate themed cake, featuring 3 layers of chocolate sponge cake, filed and frosted with vanilla buttercream. 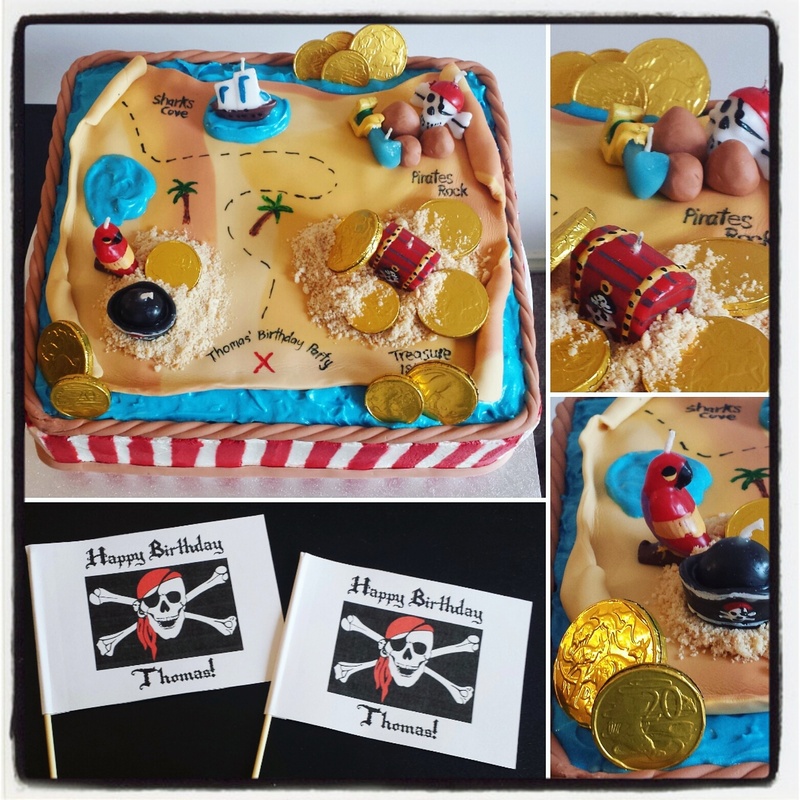 Decorated with a fondant map, chocolate coins, pirate candles and custom made pirate flags, arrgghhh! For the sand, I crushed up some Arnotts Scotch Finger biscuits. I think it adds to the realism to not crush it too much – keep some larger, just a quick blitz in the food processor does the trick. I used Fooddoodler edible markers to draw on the fondant map. Now I’ve done a cake in the past where I’ve rolled my own fondant into long sausages and made rope with them. 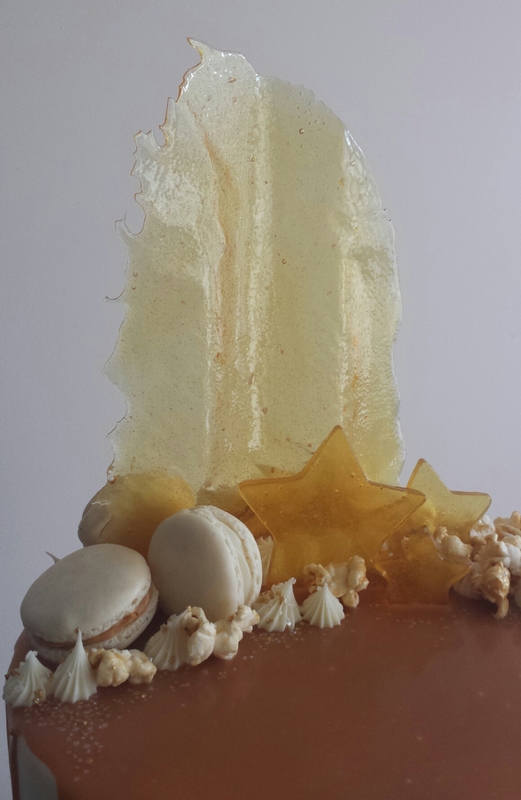 This time, I used my new tool – the fondant extruder. O.M.G. This is by far one of the best investments I’ve made for my caking toolbox! I got one like this. I chose it based on other reviews online that said the winding one like this was easier to use, and I have to say that this one is a breeze to use. For this cake I used it to make the rope border by using the disc that looks like it’s been punched with 3 holes. Once it’s been extruded you can then twist it and voila, easy rope that looks even and neat! Doing this cake has inspired me to create a page of caking tool must-haves. 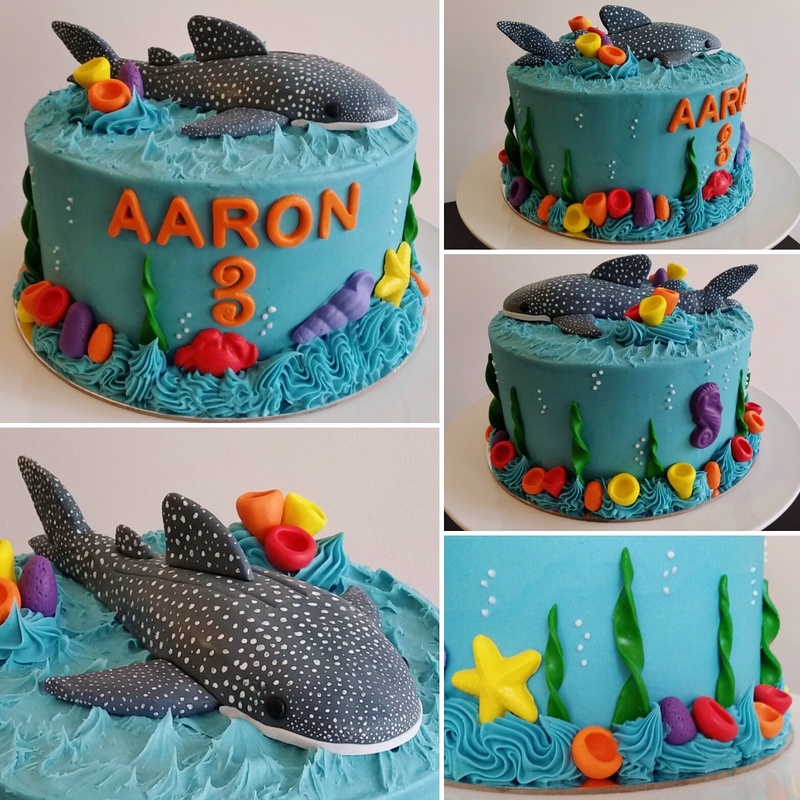 This is the second cake that involved an underwater scene that I’ve done – so I felt pretty confident in how to decorate it this time. The cake itself: 2-layer 8″ chocolate mudcake, filled and coated with white chocolate ganache (coloured blue though haha!) The accents have all been done using coloured fondant. The whale shark itself was also made using fondant. The colouring was a mix of royal blue and black. The spots were done using Americolor Bright White painted on. 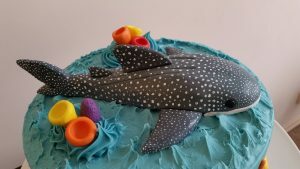 Took a little bit of time for me to get the spots done right – I wanted it to look a bit authentic, with tiny dots at the ends of the shark but bigger spots on the centre of the body (I find it’s those little details that makes such a big difference to the overall look of a topper). As with my previous underwater cake, I thought it might be nice to do the textured top to the cake with the waves. I feel each medium should be used to its advantages, ie when you have a frosting/ganache that you can texture like this, you should go for it! I don’t think you would be able to achieve such an affect with fondant. 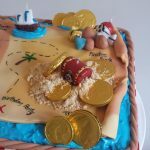 The longer I cake, the more I realise that it’s just like doing art – you have your different mediums and each have their pros and cons. There is no right or wrong. I admit that when I first started caking, I was going to limit my cakes to buttercream only. But I quickly realised that it’s soooo limiting to do that! The use of fondant definitely has its places. It’s so great to be able to play with all mediums and try to find what works best for what purpose. I am still a bit new to this world of caking, and to have been commissioned to do a cake for a corporate function was really humbling. 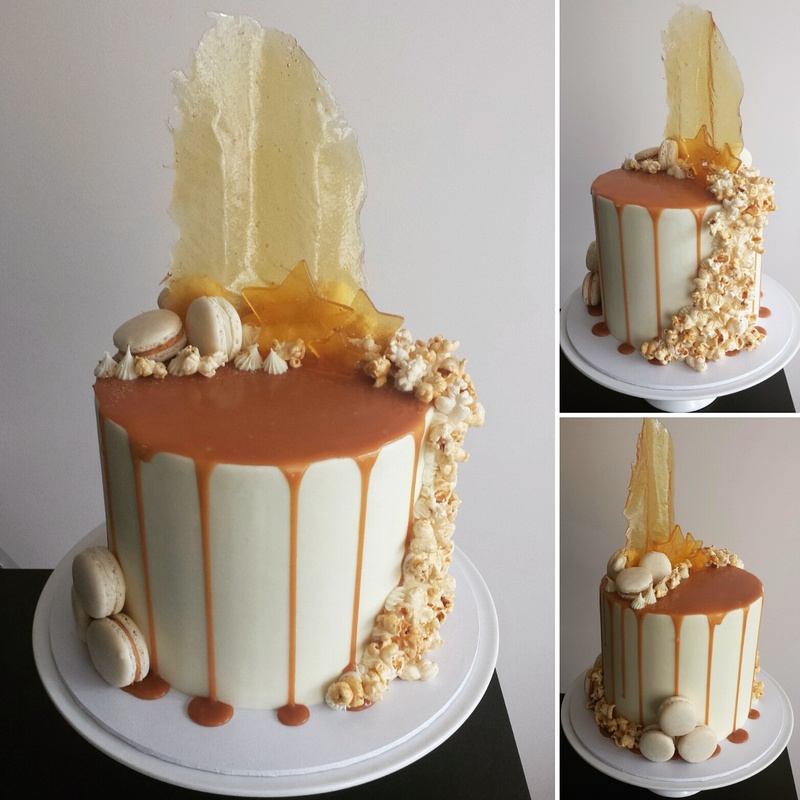 I was so excited when the order was for the Caramel Craziness cake – one of my own cake designs! 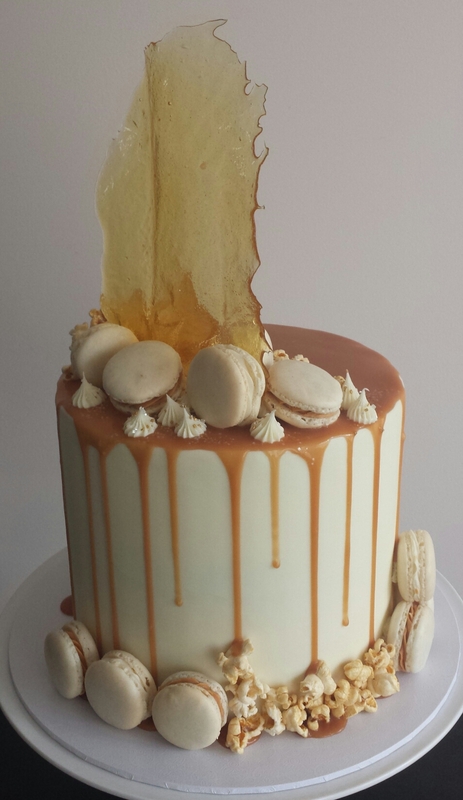 This is a 6 layer caramel mudcake with white chocolate ganache, topped with a homemade caramel sauce, yummo! The cake was decorated with homemade custom macarons (some with caramel ganache, some with white chocolate ganache), toffee shards and caramel popcorn. What you don’t see is the internal structure for this cake. I have added a cake board and dowels at the 3-layer mark, before adding on the top 3 layers. There is also a thick bamboo skewers running through the centre as a dowel to ensure that when I went to deliver it, there was less chance of the cake shifting. (I am getting into the habit of adding centre dowels into cakes where they are taller than a single tier – peace of mind!). 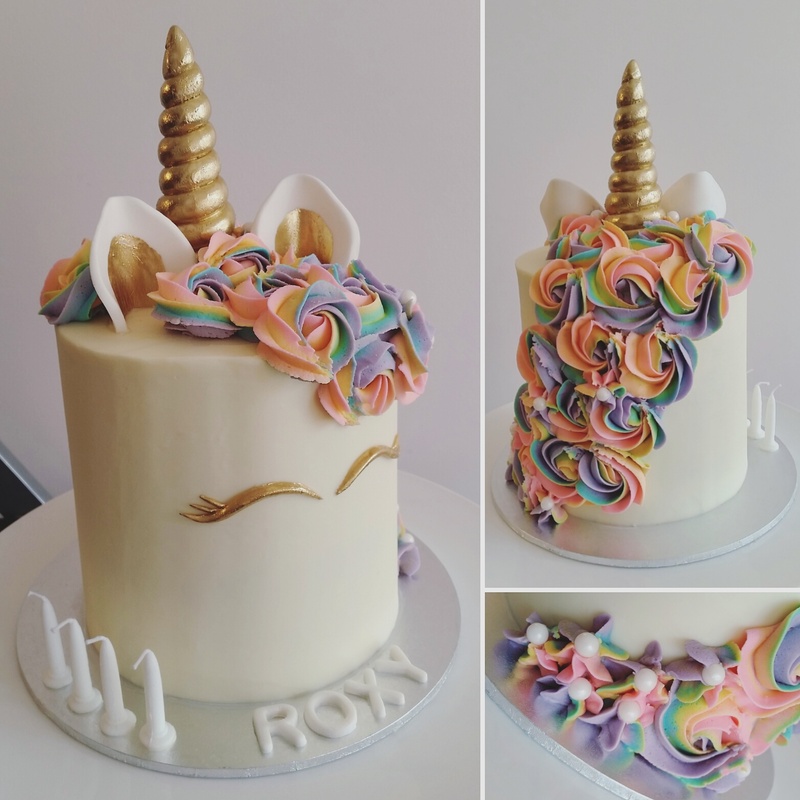 Nothing beats getting to ride on a cake trend – and lucky for me I got a request for a unicorn cake because these are so super cute! I see these all the time on Instagram and finally got my opportunity to make one! 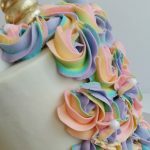 The cake itself: 6x 6″ layers of rainbow spongecake, filled with chocolate ganache, coated with white chocolate ganache. Hair of white chocolate buttercream, horn, ears and eyes done with fondant. The gold was done using a mix of Rolkem Supers gold lustre dust and alcohol in order to make a paint that evaporates and dries quickly. I LOVE painting metallic on fondant, it always looks so amazing!